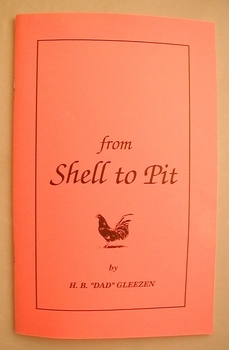 From Shell to Pit (H.B. "Dad" Gleezen). 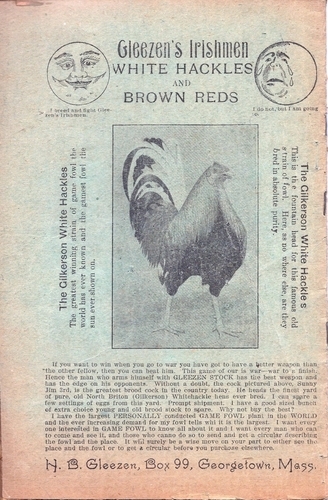 Mr. Gleezen was well known for his family of Whitehackels. Click on the picture to the left to enlarge the July 1918 Feathered Warrior ad featuring H.B. "Dad" Gleezen's birds.